The facility also debuts a café with a full bar and light food, a tasting room and event spaces for rental. 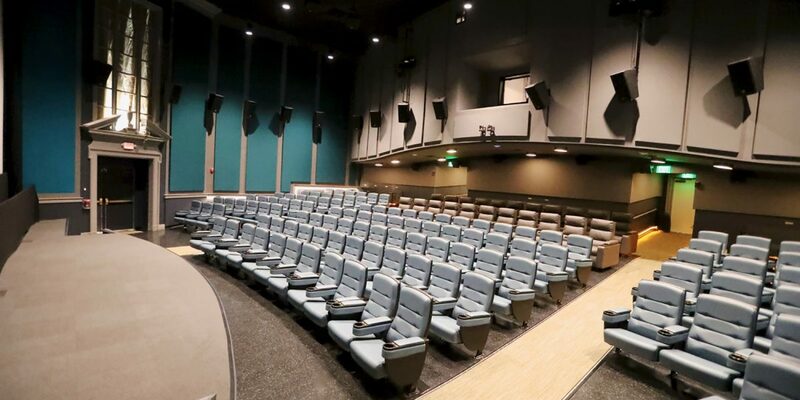 Now with three theaters, the facility is also rolling out new programming. Together with the Clive Davis Art Center, TBP will present a selection of films, including mainstream and independent motion pictures, classics and family-friendly hits. In addition, other arts programming will take place in the establishment, such as performances, author events, art exhibits and educational offerings. On October 4, the Playhouse will screen a “lost” film by director/actor Orson Welles, left unfinished during his lifetime. The Other Side of the Wind was recently restored and completed. For one night only, TBP will present the Westchester premiere of the film, with permission from Netflix, which will debut the work next month. On October 11, TBP will screen They’ll Love Me When I’m Dead, a documentary about Welles. For more info, visit bedfordplayhouse.org.